After the editors of Infection and Immunity retracted six articles in one year, they got to thinking about the frequency of retractions. They took a sampling of 17 journals with a range of impact factors and then created an index for each one that measured the number of retracted articles from 2001-2010 as a proportion of total articles published. 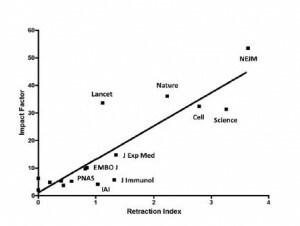 Their findings show that the higher the impact factor of the journal, the greater the frequency of retractions. They speculate that the rewards of publishing in prestigious venues may motivate researchers to engage in scientific misconduct. Others who have looked at the data remind us that the number of retractions in all journals is vanishingly small. While it’s important to enforce ethical research practices, we may be overstating the impact of retracted papers. The Open Information Science Journal is an open-access, peer-reviewed journal published by Bentham and indexed in Open J-Gate and Genamics JournalSeek. As the figure on the right shows, the article looked scientific but in reality made no sense. Still, four months after submission, Dr. Davis received word from the editor that his article had passed peer review and was accepted for publication. All he had to do was send $800. He declined to pay, but wrote about the experiment for a scholarly publishing blog. His trick recalls the Sokal hoax where a physicist submitted a nonsense paper to a humanities journal, got it published, and revealed it later. But where Sokal was poking fun at the meaninglessness of postmodernism, Davis is pointing to the lax regulation of open access journals. Not all online journals are this craven, but it shows that peer review is no guarantee of quality. South Korean scientists who publish in top-flight journals like Science and Nature receive a $2800 bonus from their government. Turkish scientists who do the same can count on a bonus worth 7.5% of their salary. Other countries reward institutions for publication rates. Researchers have now looked at whether such incentives have resulted in a greater publication success. Of the 110,870 original research articles submitted to Science over the last 10 years, first authors came from 144 different countries. 7.3% of submissions were accepted. The study concludes that cash incentives indeed increase journal submissions, but not necessarily acceptance. Rewarding publication with career promotion leads to both greater submission and acceptance rates. Their findings suggest that monetary bonuses are enough to affect the quantity of research, but to improve quality, more symbolic prizes are needed. Presentation documents for the AAMC Group on Faculty Affairs conference later this week have been posted. I noticed in one of the presenter’s PowerPoint slides several humorous images taken from the web to illustrate her points. Adding stock images to academic presentations has become so routine that we don’t think about the legality of using someone else’s content. After all, what’s the likelihood that the copyright holder for a movie poster will sue a professor who has co-opted it to liven up a talk? Do you employ the content for a different use than the owner created it for? Do you use enough of the content to achieve that new purpose? 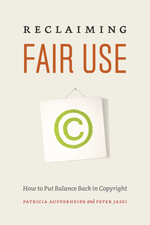 If the answers are yes, you probably have a strong standing to claim fair use. If not, you may be violating copyright. Academics understand that all knowledge builds on existing ideas, but you still have to give credit to those who came before you. You can still buy physical copies of the book, but if you’d like to skim a portion, this is a valuable resource. It’s also helpful to scholars in institutions without large library budgets. In the age of search engines, reviewers can easily and accurately guess the identity of authors. Making both reviewers and authors anonymous imposes administrative burdens on editors. Knowing the author will allow reviewers to assess bias and potential conflicts of interest. 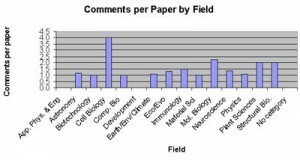 On the other side of the debate, a 2008 study found that when the journal Behavioral Ecology added double blind peer review, the number of female, first-authored papers increased. When I first started reviewing double blind manuscripts, I would often look for clues to the author’s identity. It was partly from curiosity and partly so I could evaluate the submission in light of the scholar’s other work. More recently, when I review double blind articles, it’s not worth the effort to track down the author, so I make judgments based on the manuscript itself. I doubt that it has made any difference in my ultimate recommendations, but it does save time.